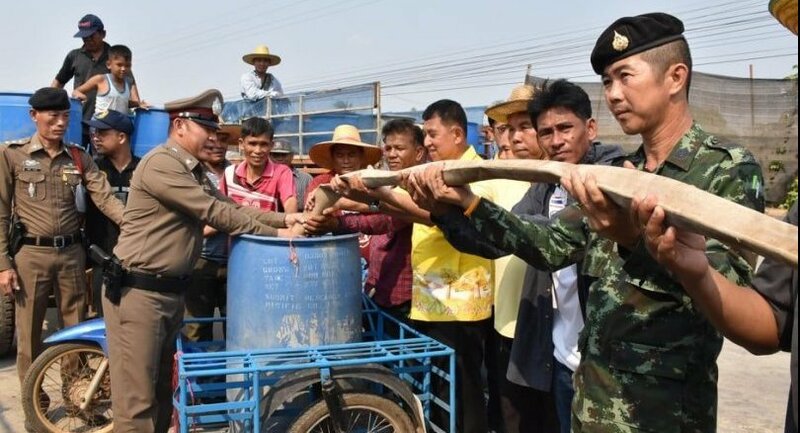 Phichai district chief Pratya Sertleucha arranged for 13 trucks to deliver water to the tambons of Na In and Na Yang, as water shortage in these areas is so severe that the 14,851 locals have to purchase water for consumption. “These trucks should bring some 130,000 litres of water,” Pratya said, adding that though water was distributed daily by the tambon’s administrative organisations two trucks, there is still not enough water for consumption. He said no water was being used for farming these days. Locals are also not able to rely on groundwater, because the soil in their hometown is salty, which means water underground is also salty. Pratya said he was planning to increase the frequency of water distribution to five times a day to ease people’s woes. “I will also ask the Uttaradit governor to name these areas a emergency zones so more aide can be delivered,” he said. In Trang’s Kantang district, some 200 families in Moo 3 of tambon Ko Libong also reported severe water shortage, with each family spending up to Bt2,000 every month on buying water. Each large bucket of water costs Bt10 and 1,000 litres of water can cost them up Bt150. There is no waterworks in this seaside community.